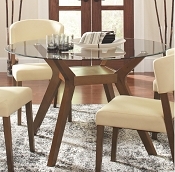 Bring a simple, contemporary styling into your dining and entertaining space with the Kenneth dining set. 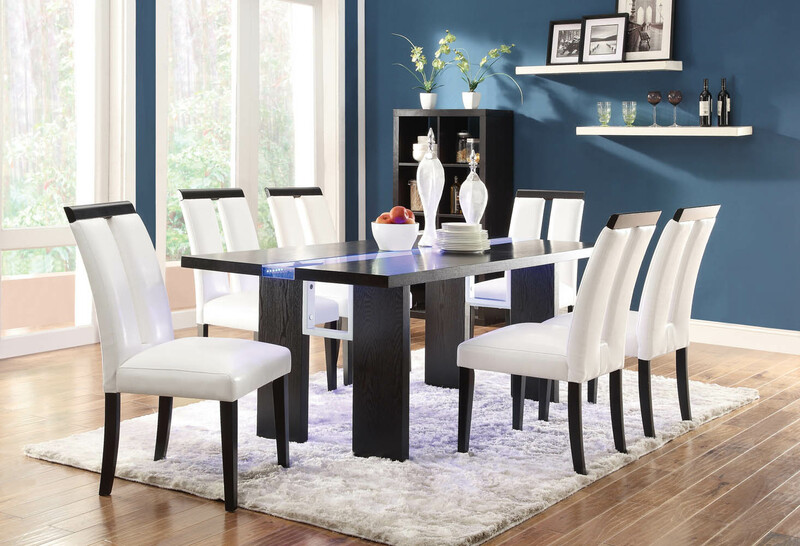 Crafted with a rich black finish, the table is rectangular in shape and features a press switch to turn on an LED light that runs directly through the middle of the table. Accompanied are six dining chairs. 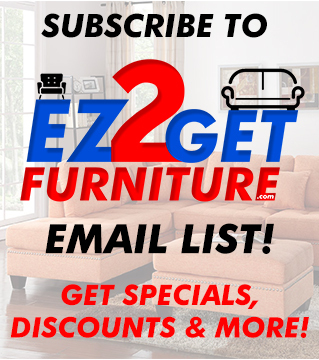 Each chair is upholstered in crisp cream vinyl upholstery for a classy and refined look and feel. Exposed black top lining and square shaker legs add additional detail to visually please. 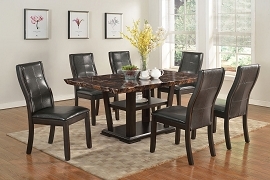 The Kenneth dining Set makes an impressive addition to any home. The 3 way switch and light is battery operated. 76"L x40"W x30"